Facebook’s ties to Definers Public Affairs, first reported on Wednesday in The New York Times, sparked widespread criticism and accusations of hypocrisy. Facebook’s ties to the lobbying firm, Definers Public Affairs, were first reported on Wednesday in The New York Times, which detailed how the group aimed to “discredit activist protesters [of Facebook], in part by linking them to liberal financier George Soros,” who has become the subject of widespread right-wing conspiracy theories for his philanthropy work. 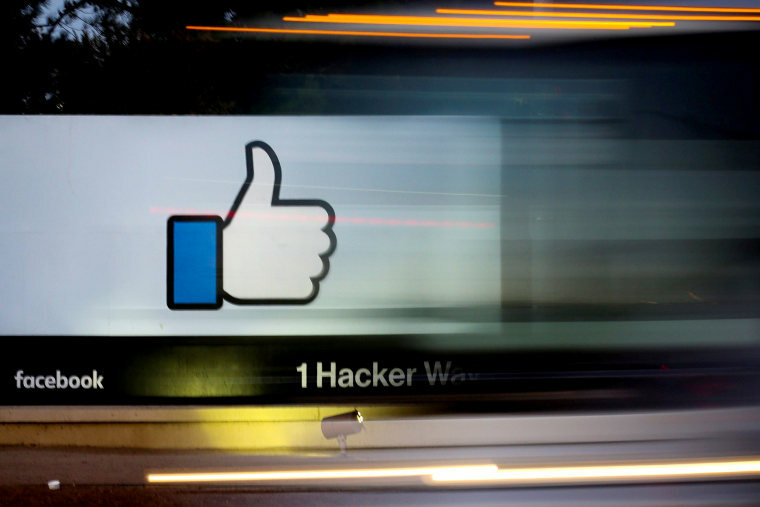 The report resulted in widespread criticism and accusations of hypocrisy by Facebook for its use of a lobbying firm that pushed narratives on behalf of its clients disguised as news articles. And some of the firm’s more inflammatory political ads for other clients were removed by Facebook itself for violating its advertising policies. A former employee of Definers, who asked not to be identified in order to protect professional relationships, told NBC News that NTK Network was “our in-house fake news shop.” Some clients would actively pay for NTK Network’s positive coverage, which the ex-employee said would then be pushed out through Facebook in the hopes of being picked up by larger conservative media outlets such as Breitbart. One article currently being promoted on Facebook through NTK Network’s page promotes the page as having “the latest stories without the liberal bias,” according to Facebook’s publicly available ad index. The former employee told NBC News the company would run positive stories about clients “at the end of the day” simply to “fill up space” on NTK Network’s website and feed, even if they didn’t specifically pay for NTK’s suite of services through Definers. NTK is currently running an ad to promote a story published on Tuesday headlined “Conservatives Blast ITC Judge’s Ruling on Apple,” which refers to a patent dispute between Apple and Qualcomm. The former employee claimed Qualcomm had a relationship with Definers. Qualcomm and Apple declined to comment. The revelation highlights how public relations firms like Definers have been able to move beyond efforts to seed stories in the press on behalf of their clients and can now promote their own articles on Facebook in the guise of news, just as Russia promoted misinformation and divisive political rhetoric through disguised media publications. And now it turns out that Facebook was not just the platform for this kind of opposition work, but had actually hired a practitioner to do so on its behalf. “After a year of increasingly worrying revelations about the scourge of misinformation on Facebook, it is still shocking to learn that Facebook itself employed the same tactics that bad actors have used to exploit its platform,” Justin Hendrix, executive director at NYC Media Lab, a university consortium focused on media technology, said. NTK Network declined to comment. The ex-employee said that Facebook hired the firm to research opponents of Facebook following its problems with Russian disinformation. A current employee at Definers, who asked not to be named as they are not authorized to speak on behalf of the company, confirmed that Facebook began its working relationship with the firm in October of 2017. Within the first month of their working relationship, positive coverage of Facebook on NTK Network’s site was already up and running. On Oct. 31, one NTK headline stated: “Russian Content on Facebook Amounted to Just .004% of Total Content.” The article echoes statements delivered to Congress by Facebook general counsel Colin Stretch, who appeared before the Senate Judiciary Committee in October 2017 to talk about Facebook’s role in the Russian disinformation crisis before the 2016 U.S. election. Other NTK Network ads attacking Democrats from earlier in 2018 were removed for “running without a ‘Paid For By’ label,” according to Facebook’s ad database. Patrick Gaspard, president of the Open Society Foundations, the nonprofit group funded by Soros, called for Facebook to explain its actions. When asked about NTK’s working relationship with the social media company, Facebook directed NBC News to a company blog posted late Wednesday night, saying it had ended its relationship with the consulting firm. “The New York Times is wrong to suggest that we ever asked Definers to pay for or write articles on Facebook’s behalf — or to spread misinformation,” Facebook wrote in its statement. Facebook spent a total of $3.3 million on lobbying in the first quarter of 2018, according to a public filing. CORRECTION (Nov. 16, 2018, 5:42 p.m. ET): An earlier version of this article misstated Facebook's payment to Definers Public Affairs. Facebook spent $3.3. million on all of its first-quarter lobbying in 2018, not $3.3 million with Definers.